SEOUL, South Korea, Dec. 22, 2011 — The Ministry of Health and Welfare (Minister Rim Che-Min) and the Korea Health Industry Development Institute (President Ko Kyung-Hwa) launched a project to improve the medical service system for foreign patients by designating 38 tasks, including seven major issues such as adopting a compensation system for medical injuries and granting permission for drug dispensing in hospitals, to minimize inconveniences for foreign medical patients. 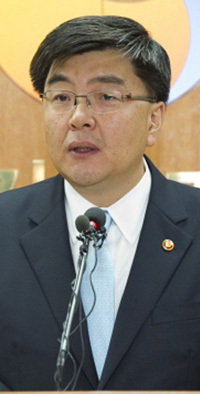 In particular, Korea's seven major tasks for foreign patients include adopting a compensation system for medical injuries; easing floor area ratio regulations for the building and remodeling of lodging facilities in medical institutions; allowing drug dispensing in hospitals; expanding training programs at the Medical Korea Academy and permissions granted to foreign medical professionals to participate in clinical studies; increasing the cultivation of professional medical workforces; assessing foreign patient accommodation in each medical institution; and improving the visa system. Korea is considering establishing a credit union for hospitals that treat foreign patients and providing partial support for the funds with government subsidies. Medical Korea is reviewing the plan to ease floor area ratio regulations when medical institutions build or remodel lodging facilities in hospitals for foreign medical tourists and provide them with financial support or loans through a tourism promotion fund. In addition, Korea is seeking to offer one-stop medical services to foreign patients by allowing hospitals to dispense drugs for foreigners so that foreign patients do not have to suffer inconveniences resulting from the separation of drug prescription and dispensing. Korea is also planning to expand training programs for foreign doctors and actively cultivate professional medical workforces, such as medical interpreters. An official with the Korea Health Industry Development Institute expects that improvements in medical policies for foreign patients will contribute to the establishment of Korean medical infrastructure with world-class services, on the one hand, and allow Medical Korea to lay the foundation for Korea to take a leap forward with global competitiveness in Asia.